1euro goes to the Health Trust and 50c goes to the Benevolent Fund. The fund was established in 1986 and has distributed over €10 million to construction workers and their families. Funds are limited so grants are restricted to situations arising from bereavement, serious illness, acute hardship and unforeseen family events leading to financial stress. It provides a valuable second tier of assistance to the work of the Health Trust where serious health problems are often encountered. Both the Health Trust and Benevolent Funds are registered with the Charities Regulatory Authority. Although the weekly payment is an employee contribution, some firms decide to pay it themselves. Others split the cost between employer and worker. It’s up to the employer to decide. The deduction can be paid in several ways. 1. 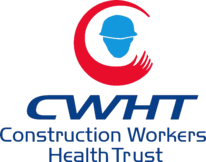 If your firm participates in the Construction Workers Pension Scheme you can automatically contribute to the Health Trust by opting to be invoiced for ‘standard with additions’. This method of payment includes both your pension contribution and the Health Trust/Benevolent Fund contribution. 2. If you don’t participate in the pension fund you can register directly with us by completing our simple registration form below and agreeing to be invoiced annually in advance for the charge. You complete the online registration form stating the average number of workers your firm employs. We will then calculate the cost based on your average number multiplied by €75, which is the annual charge per worker. ACME Construction has 25 employees including management and admin staff. 25 workers X €75............Total for the year €1875.00 payable in advance. 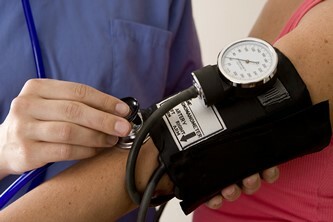 Health screening is subsequently arranged and takes place at the company’s own premises. However only 21 people takes part. The Health trust will then adjust the company’s invoice for the following year to 21 X €75. Conversely if more people take part the invoice will be adjusted upwards. *To be completed by the registering company only.